Transmission Servicing Cart helps extend component life. Self-contained Model SK4051TSU filters and stores gearbox lubrication oil during routine service procedures on variety of rotary-wing aircraft. Cart filters recycled transmission fluid to 3 microns, making it cleaner than new transmission fluid, which has particulates of 10 microns or larger. 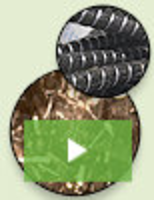 Gasket Filters withstand extreme operating conditions. 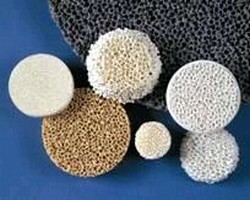 Ceramic Foam Filters remove impurities from liquid metal. Gas Filters target GC and GC/MS analyses. HEGA Filters remove hazardous gaseous contaminants. 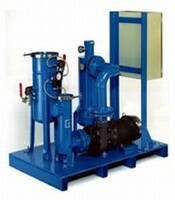 Paper Filter cleans cooling lubricants. Filtration Module suits surface finishing applications. Hydraulic Oil Cleaner has compact, portable design.